Our 2019 Musicians will be announced soon. Deb & the Dynamics is a Funky Rock ‘N’ soul/blues band that originated in 2003 in a small blues bar in Matlacha, FL. 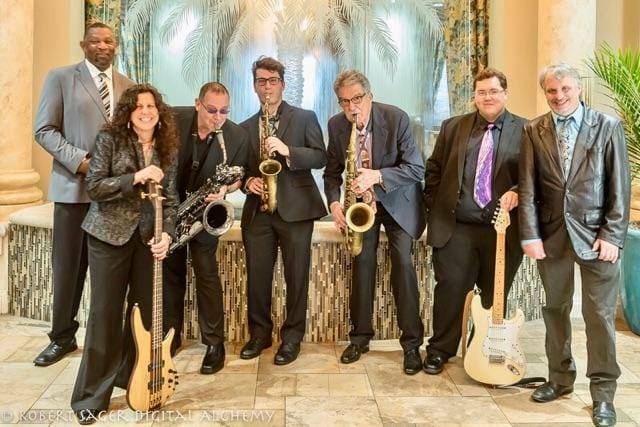 What started out as a trio with the guitar player playing a stomp box for a drum set, has through the years become a seven piece soul band that’s been rocking South West Florida for the past twelve years. Debra Biela, Bass player/lead singer of the band brings powerful vocals in heavy groove to lay down the base of the band. Deb has been in the music business for the past thirty four years and has entertained most on most of the major festivals in the United States and Europe. Her her experience with performing and watching major artists while on the road with Blind Pig Recording Artists Deborah Coleman, has been brought forth to the Deb & The Dynamics live performances. Band members: Debra Biela – Bass Guitar & Vocals; Newt Cole – Tenor Sax, Alto Sax, Vocals & Percussion; Don Hulgas – Bariton Sax, Percussion & Vocals; Willie Miller – Drummer & Vocals; Michael Baer – Keyboard & Vocals; Dylan Young – Alto Sax & Percussion; Robert Benjamin Morris – Guitar, Harmonica & Vocals; Gary Greenstein – Trumpet & Percussion. For more information visit www.debandthedynamics.net. As a Florida based multi award winning band, “The Pitbull of Blues Band” enjoys sharing their own breed of blues with others. Led by the magnificent front man Josh “The Pitbull of Blues” Rowand, this high energy band has been on the prowl for many years. The Pitbull of Blues Band is a regular on the festival circuit, known for their fun-loving mix of traditional and original blues. Josh “The Pitbull of Blues” Rowand is the lead vocalist & lead guitarist. He is also an accomplished slide guitarist, harmonica player, and songwriter. With his stunning guitar work he leads the crowds through a repertoire of all that is blues and more. Putting the bite in blues, this band delivers a show that reminds you why you fell in love blues. The Pitbull of Blues Band showcases the music that they love to play and share that love of the blues with many. For more information visit www.thepitbullofblues.com. 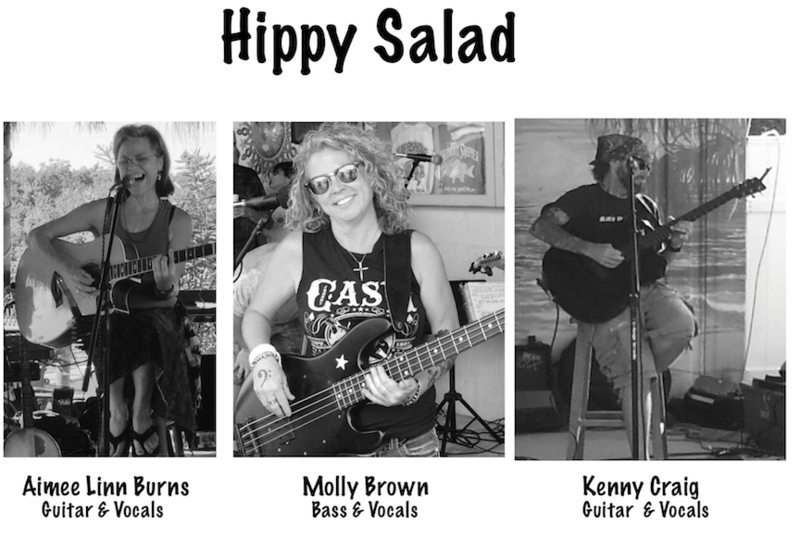 Hippy Salad is an acoustic power trio playing your favorite cover tunes from the past 5 decades. Aimee Linn Burns is an accomplished singer, songwriter and guitarist. Molly Brown is a self taught bassist and vocalist. Kenny Craig has over 35 years in the music industry and is very well known in the area for his amazing guitar and songwriting skills. 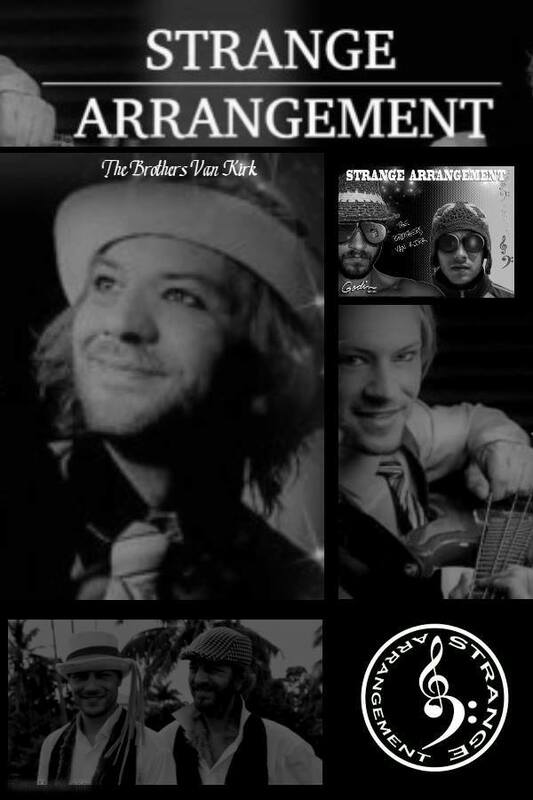 For more information check them out on facebook at https://www.facebook.com/HippySalad/info.